First of all, I want to take a moment to thank Brandon. He is someone who inspires me a lot, and I’m so grateful for the support that he has always given me and this blog with every book that he puts out and asks me to review. Brandon is here promoting his new book Cold, which released on May 14th. You can find our review for it HERE, along with the buy links. 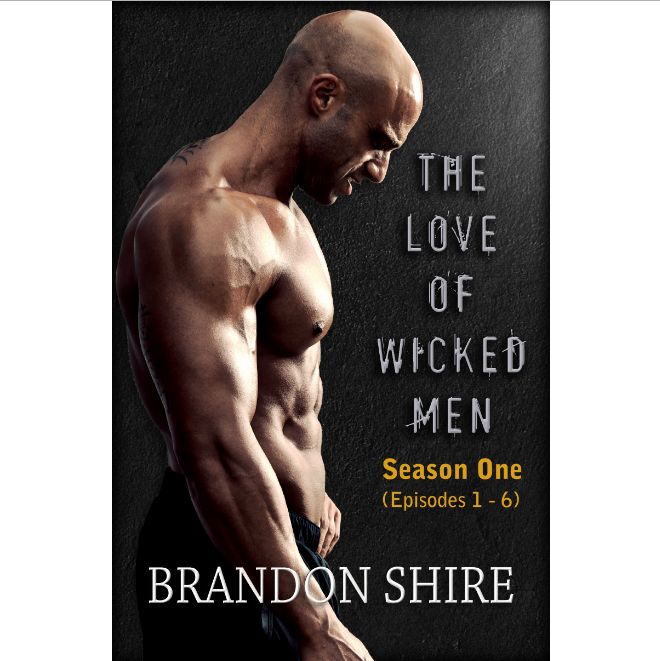 Brandon has generously agreed to give away an ebook of Cold in either Epub or Mobi format. Details on that give-away are at the end of this post. Honestly, it was the intensity of the environment that intrigued me. Most stories about prison are based the violence and the climate of prison life. I wanted to focus more on the characters, but place them in a setting where two complete opposites would be almost forced into interaction because of the close confines and daily monotony. How does the writing process work for you? About how long from conception to research to birth did Cold take? My muse spits out a dozen ideas at a time. I dutifully jot them down since this usually occurs while I’m in the middle of another project. The concept of Cold began to unfold in December 2012, so from there to the publication date in May…about six months, which is typical for me. Does love make people’s poor choices or actions redeemable or does it just make them human? Good question. I wish I had an answer, but I don’t. I think the love between two people is different in each and every situation, and only the person involved in the relationship could answer such a question. Otherwise, you, as an outsider, are just judging an intimacy which you know nothing about. From a personal perspective, I think each person has the qualities that would create a bond; I don’t hold people as ‘redeemable’ because I don’t see them as irredeemable. Singular actions and poor choices do not, for me, make up the definition of a person as a whole. Do you think that writing a story about a relationship between two men that have been convicted of Murder and Drug dealing humanizes them for readers? I think our conception of the people in prison is based on the crap people watch on television and the hype produced by the media to sell ad space. Dehumanizing individuals to allow us to match the concepts we’re force fed is why we have the largest prison population in the world. Whether Cold pushes back against that, I can’t say. I honestly don’t think it is likely. Corporate America has too tight a hold on the average individual’s panic button to realistically expect changes in the foreseeable future. Your books focus on characters that might be outside the life scope of the bulk of your readers. Is there a reason why? This comes about because I like to test boundaries and push back against predefined concepts. While I do a lot of research and try to be factual in the presentation of my fiction, what I find is not always in line with the common beliefs people hold. (Laughs) I think that’s why readers have a love/hate relationship with my writing style. Many people may have a love/hate relationship with Brandon’s style, but I for one love it. I also love the evolution of that style and voice, and how it changes from one book to the next. Whether you like it or not, you have to agree that Brandon Shire’s voice is a powerful one. If you notice, there are no personal questions in this interview because Brandon is a private person who wants his work to speak for itself. Well all you have to do to enter into the Drawing is leave a comment with your email address AND the format (Epub or Mobi) and I will enter you into a drawing to be held on May 24th (Friday) which is also the last day of the blog tour. Each of the blogs on the tour are giving away a copy of Brandon’s book.. You can find out into about his stops HERE.